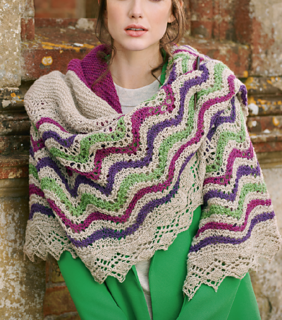 so it is guaranteed to keep you cosy on chilly spring days! 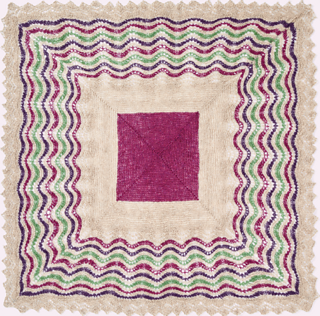 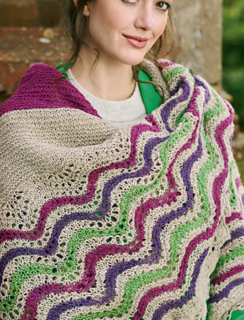 The design features a central square, worked here in a bright colour, and edged with feather-and-fan lace in colourful stripes. Penelope has knitted her shawl in JC Rennie’s Unique Shetland, a pure wool from Shetland that comes in a wide range of colours.